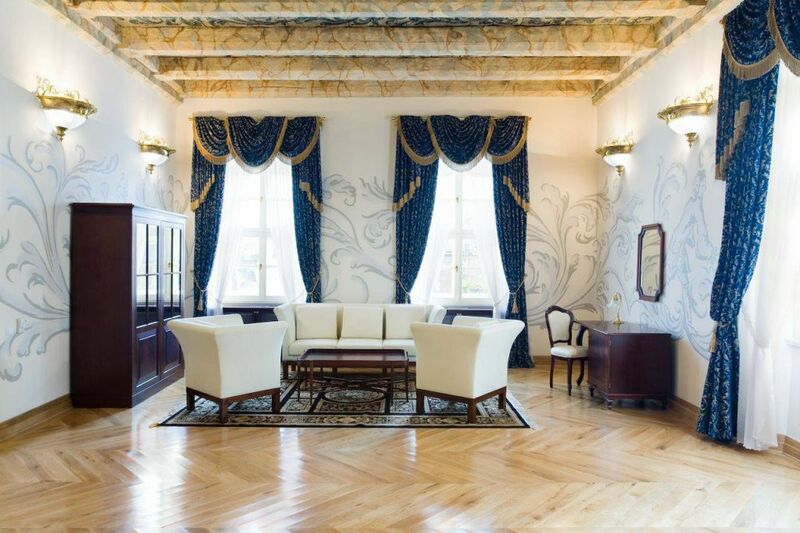 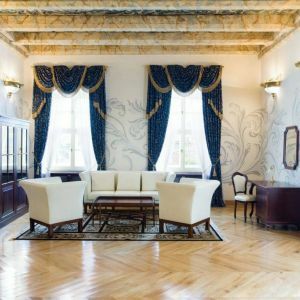 The five-star Bonerowski Palace Hotel occupies this monumental 13th century medieval tenement house situated on the Main Market Square in the center of Kraków. 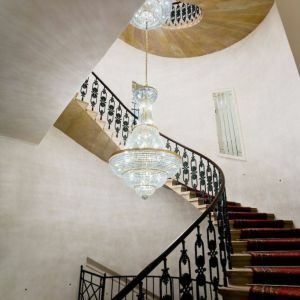 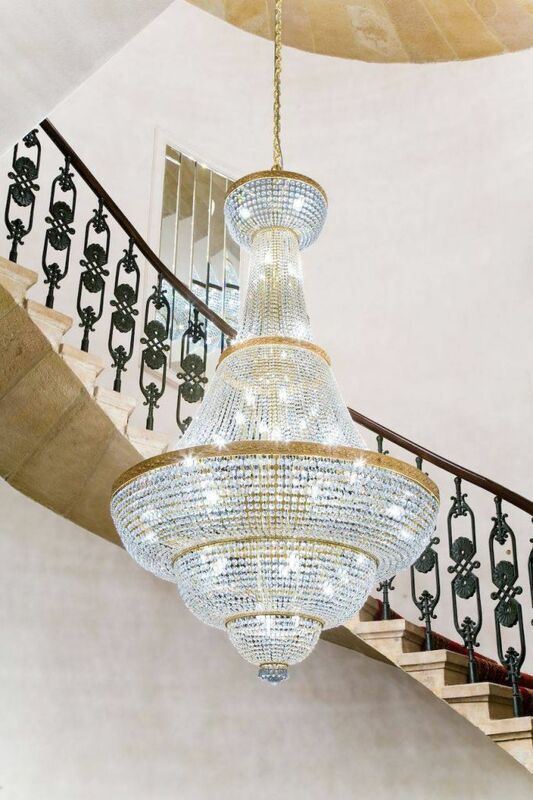 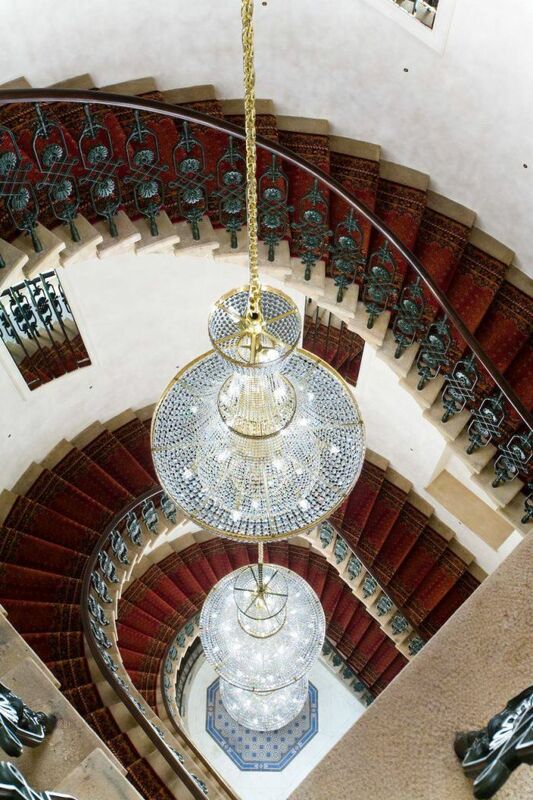 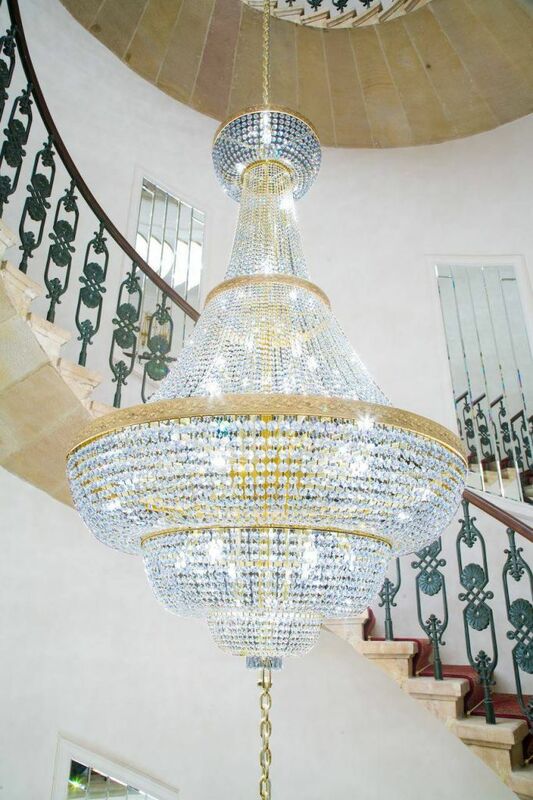 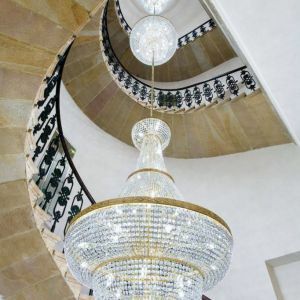 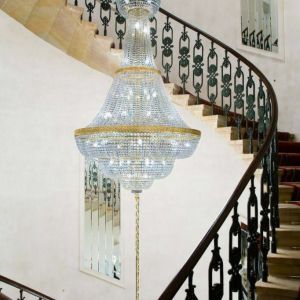 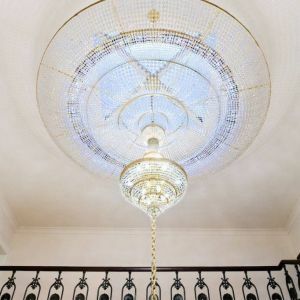 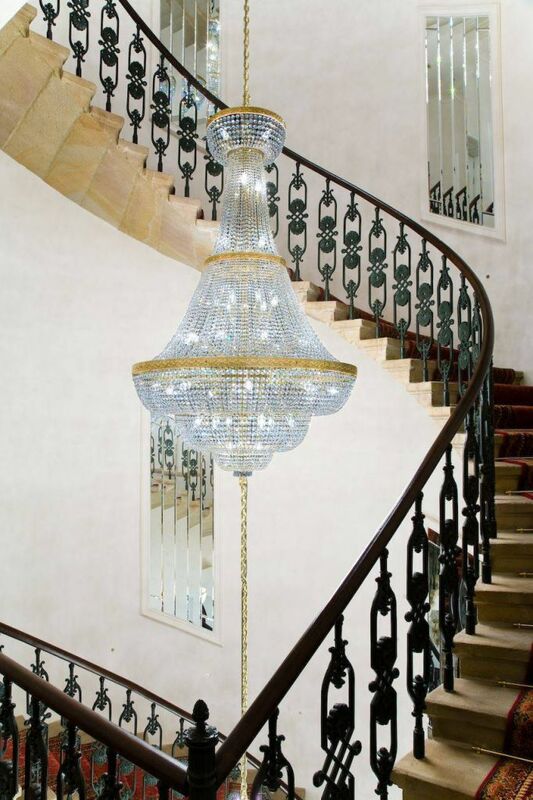 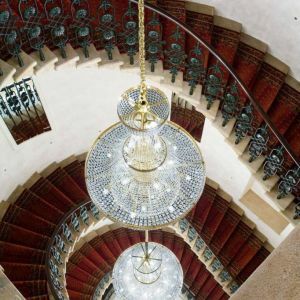 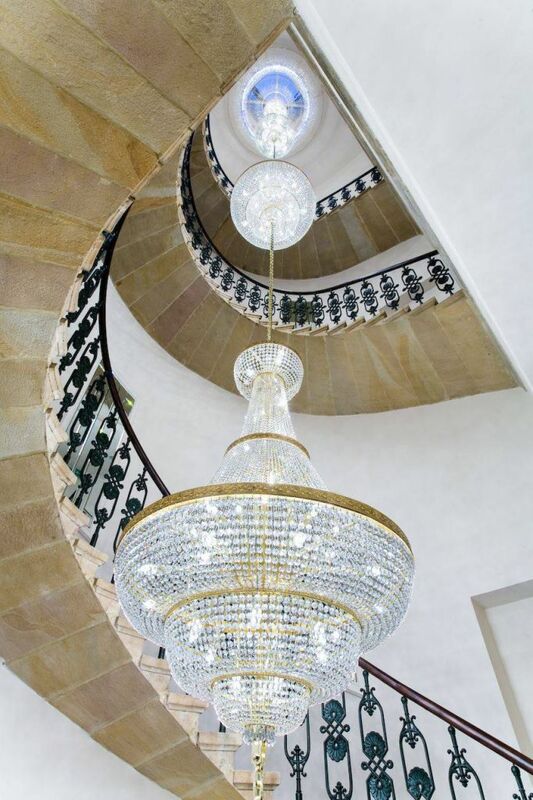 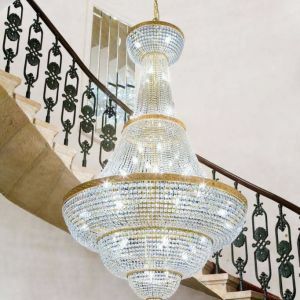 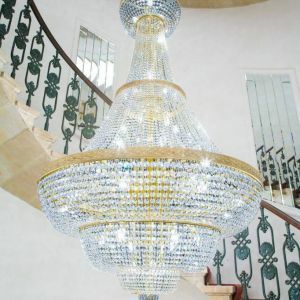 The hotel’s interiors, co-created by PRECIOSA in tandem with Polish company KRYSZTAŁ s.c., feature a 17-meter high glittering fixture in the center of the towering spiral staircase. 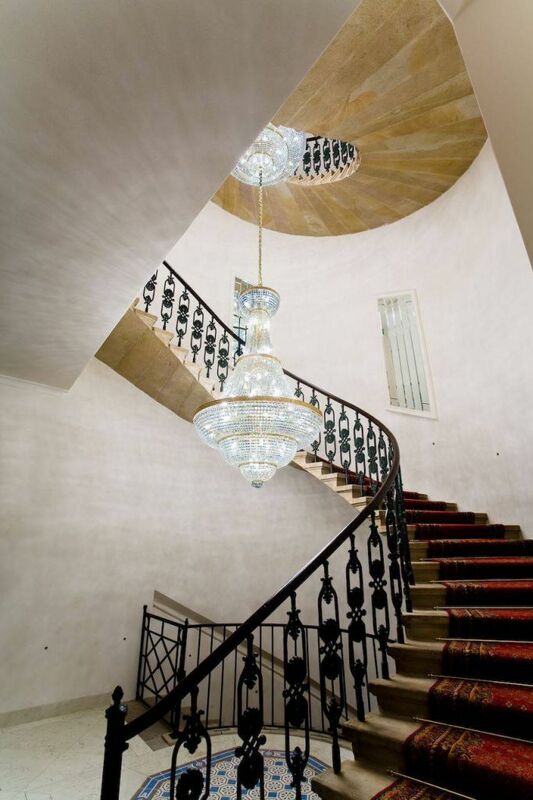 Five baskets suspended from one another create the sense of light ascending as it coils around the stairs. 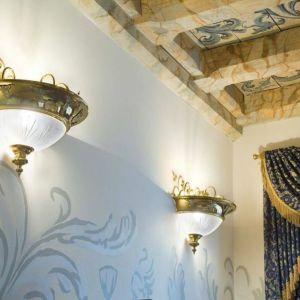 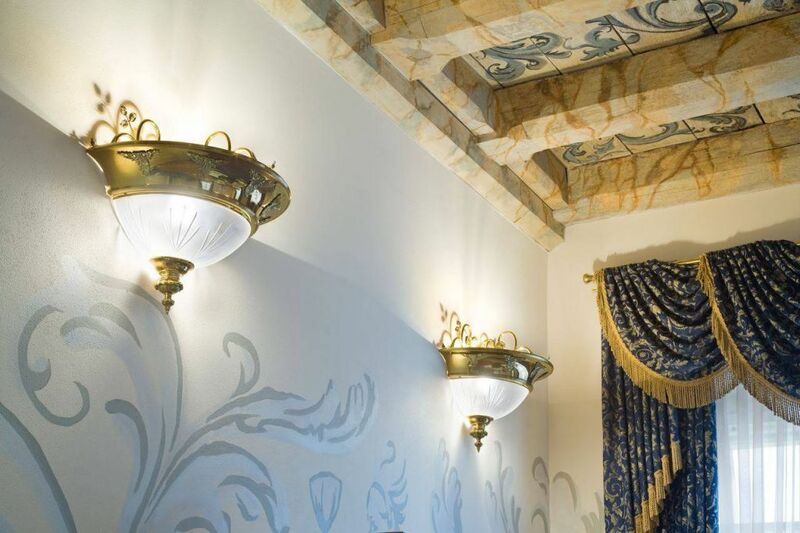 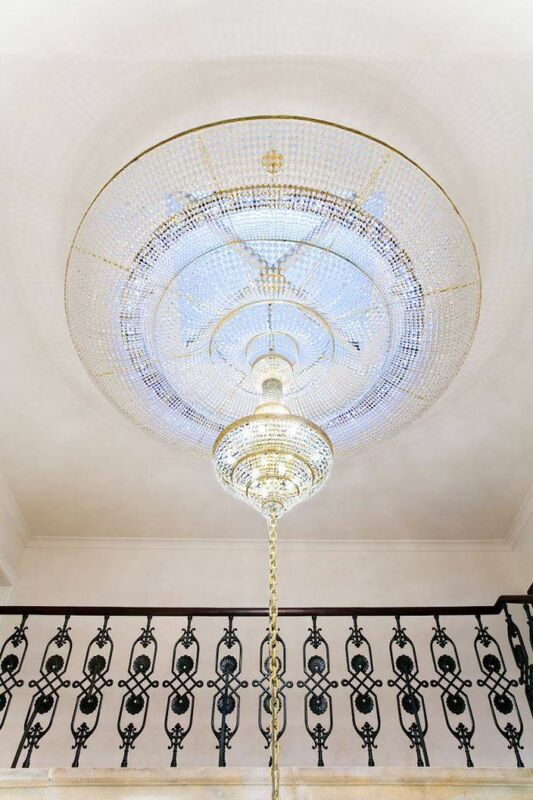 Enhancing the eclectic atmosphere, wall brackets illuminate the paintings and luxury chandeliers embellish the ornate ceilings.